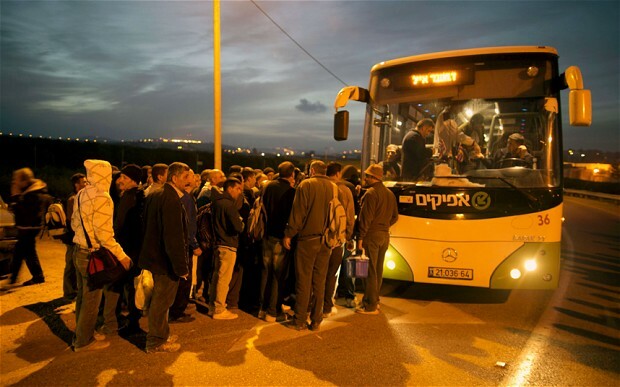 Israel’s government has suspended a ban on Palestinians in the West Bank from riding home from work in the same buses as Israelis. The suspension came just hours after the initiative was launched by the Defense Ministry. In response to the initiative, President Reuven Rivlin had said that the segregation “could have led to an unthinkable separation between bus lines for Jews and Arabs”, reported Haaretz. “As one who loves the Land of Israel, I have nothing but regret for the discordant voices that we heard this morning, supporting the separation between Jews and Arabs on the basis of ideas that have no place being heard or said,” said the Israeli President. “Such statements go against the very foundations of the State of Israel, and impact upon our very ability to establish here a Jewish and democratic state,” Rivlin added. The move, launched under Defense Minister Moshe Ya’alon separates Israelis and Palestinians and forces Palestinians to return to the West Bank through the same checkpoints they entered Israel from. The initiative was meant to run as a pilot for three months and will start on Wednesday, said a defense ministry official to AFP. Israel had defended the move as a necessary step to “control Palestinians” entering and leaving Israel and reduce security risks. In response, human rights organizations have condemned the initiative as racist. Haaretz reports that Attorney Michael Sfard, legal counsel for the non-governmental organization Yesh Din, said that activists will appeal to the High Court. “Beyond the fact that the plan was implemented clandestinely out of fears that we might take steps to prevent it, this is a shameful and racist measure that causes Israel to deteriorate to a low moral point,” said Sfard to Haaretz. Hundreds of Palestinians in the occupied West Bank travel each day to work in Israel, using permits to cross checkpoints.